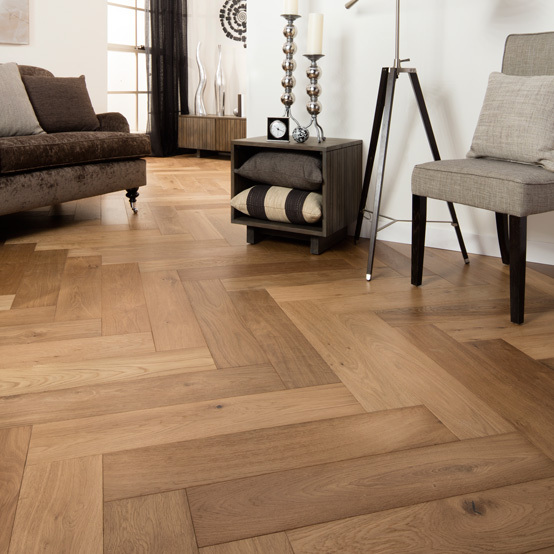 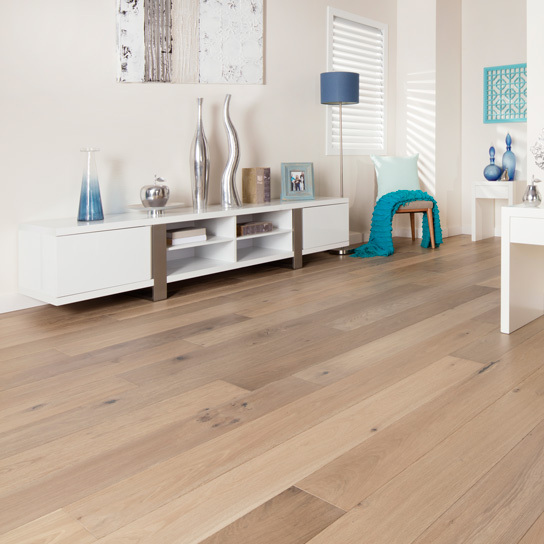 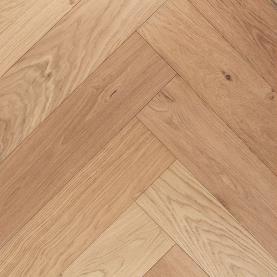 Inspired by classic French design, GrandOak Herringbone Collection highlights the natural and enduring beauty of Oak from modern contemporary to classical heritage spaces. 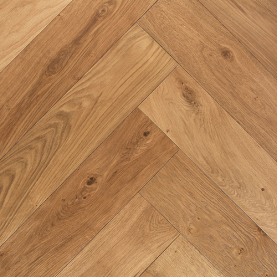 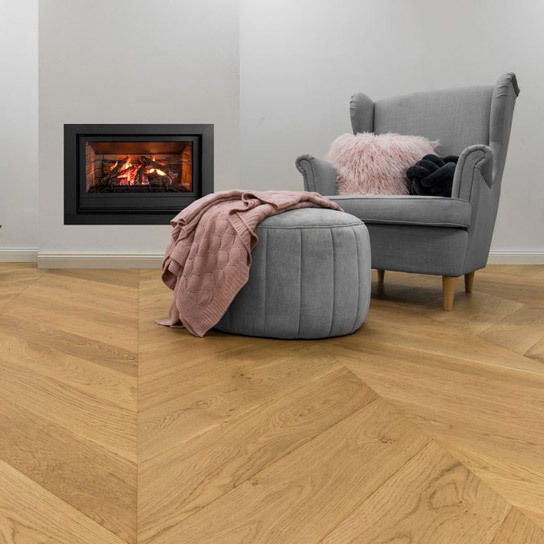 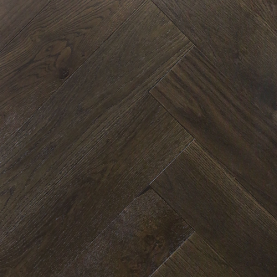 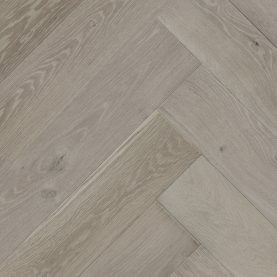 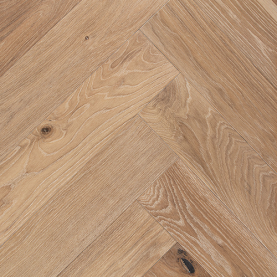 Each individual 750mm x 150mm herringbone board's textured grains, are highlighted in this timeless parquet style completed in a pre-finished UV lacquer. 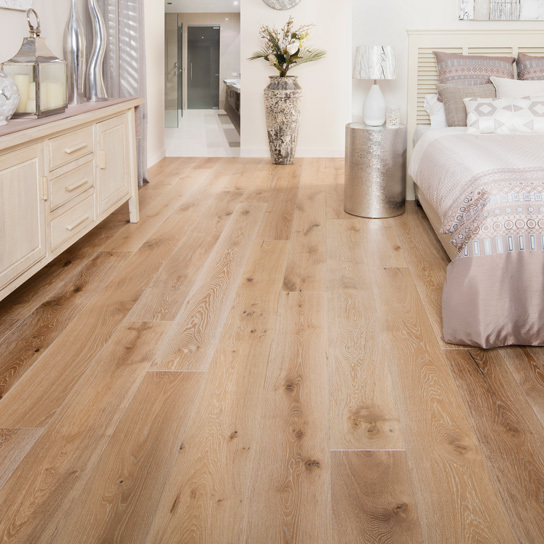 Five stunning colours are available in this spectacular collection.